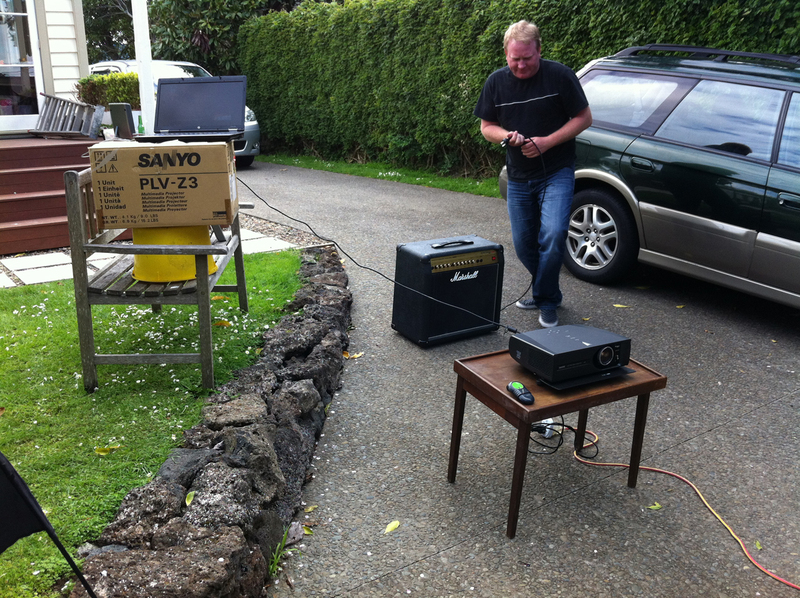 Afternoon project: setting up highly sophisticated outdoor projection operation ahead of Sunday’s game. Wi-fi over the fence. John Fellet, close your eyes. This entry was posted in Uncategorized and tagged Marshall stack, Outdoor projection, World Cup. Bookmark the permalink.